It's a whimsical little book. I of course wanted to see what my shoe was first, since I'm not a fashionista, and it came up as a Converse Chuck Taylor. That is as close to accurate as it could be. Check it out! Completely useless since it's a one use book (my birthday is there... ok, got it.) 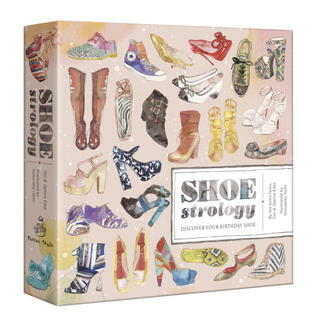 But it's about SHOES and it's amazingly illustrated. So. Although it is a novel concept, I wouldn't recommend it since all you really can derive out of it is 1 page (your birthday).